I have read the manuscript of this book with great enjoyment. 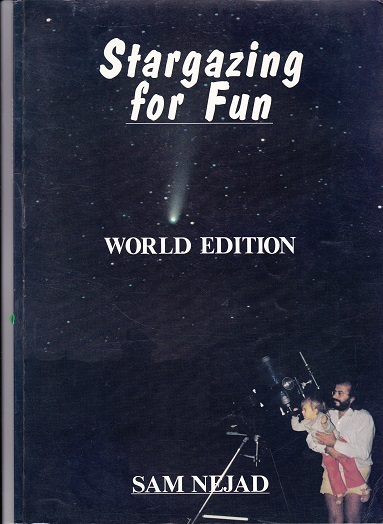 I wish that it had been available when, as an eight year old, I first became interested in astronomy. It is written with such an infectious enthusiasm that any person, young or adult, would find it hard to resist. The outstanding feature is that for the first time, here is a book that can be used by an observer anywhere on the Earth. Another innovation is the inclusion of ‘Graphical Orreries’, which will provide an understanding of the movements in the Solar System and the wherewithal to find the bright planets at any time. The illustrations are provided by the author using amateur equipment and give the reader an honest impression of what is achievable with modest means. It is a rare to find such an original book – it is not only simply aimed at the amateur astronomer but will capture any intelligent audience. It would be an excellent school text. In summary, the book is recommended without reservation and would provide its readers with the impetus to pursue astronomy as a career or hobby.